Palsy means paralysis usually combined with involuntary tremors. There are many types of palsy that can affect the human body. Under certain circumstances, the reason for the palsy can lead to civil lawsuits. Many of the lawsuits involving palsy originated as a result of medical negligence during birth in a hospital. There are many cases where victims are being paid financial compensation. Medical Claim Legal can assist you in making a claim. Three types of palsy, typical at birth, are common in lawsuits: Cerebral, Brachial Plexus and Erb’s Palsy. Brachial Plexus – involves the groupings of nerves in the shoulder and neck area that control the movement of the arm. A complete plexus palsy means that the child can not move his or her arm, hand and wrist. Most cases occur when there is difficulty in the birthing process. Erb’s – a type of Brachial Plexus palsy. If the damage to the nerves only affects the shoulder and elbow, it is considered Erb’s palsy. 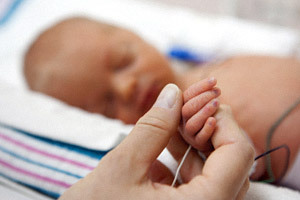 The diagnosis of palsy in a newborn is a devastating event. If you believe your child’s condition was due to medical negligence while in the hospital, you should seek help. Contact Medical Claim Legal for a free consultation today and take the first step in collecting the financial compensation you deserve.